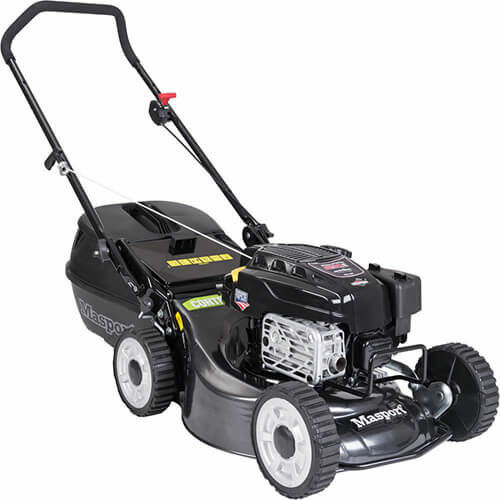 The Masport 19" Contractor® is a professional's mower and, like its big 21" cousins, it features a commercial grade Briggs & Stratton 850 engine. This mower is designed for tough going conditions and regular mowing. The heavy duty high arch steel chassis is able to withstand sandblasting and hard impacts and is combined with the Quadcut® 4 blade cutting system resulting in superior cutting, mulching and catching performance. The heavy duty cast alloy wheels are extremely tough and are designed to operate under commercial conditions limiting possible down time. It has an open rear chute to allow great grass flow and catcher full performance in a hard HDPE catcher.